Synopsis: It’s two years since the end of the second World War and Charlie Berlin has returned to Australia, having been a bomber pilot in Europe then a POW in Poland, and is still haunted by things he saw and did. Upon returning to work as a Detective Constable in Melbourne he is sent to rural Victoria, on the border with New South Wales, to investigate a spate of armed robberies, the latest of which resulted in a paymaster being badly injured. He arrives in town to be greeted by a young constable, Rob Roberts, who will drive him around (and report back to the local Sergeant who is not entirely happy to have someone from the city on his turf) and the two form a complementary team of investigators with Charlie supplying the experience and Roberts providing the local knowledge. Review summary: The historical aspects of the novel are extremely well done; feeling authentic through the use of interesting details but not overblown with evidence of the author’s research. McGeachin has done a first rate job in the crowded space of fiction dealing with the horrors of returning from war, capturing both the universal truths that are associated with the experiences and the peculiarly Australian, somewhat laconic way of dealing with the nightmares and other repercussions. The characters are nicely drawn and the crime solving is subtle but believable, hinging on Charlie’s methods of getting to know the place and its people so that the culprit will virtually reveal themselves. Synopsis: Tells the story of Miles Jordan, a Melbourne-based author who wrote an award-winning book some years earlier but has been unable to recreate his success. Now his marriage is over and he’s broke so Miles is leaving Melbourne, in his beat-up old car and with his trusty dog Roley by his side, for a new life. He doesn’t get too far before he is offered a job and a roof over his head at a Lakes Entrance caravan park. 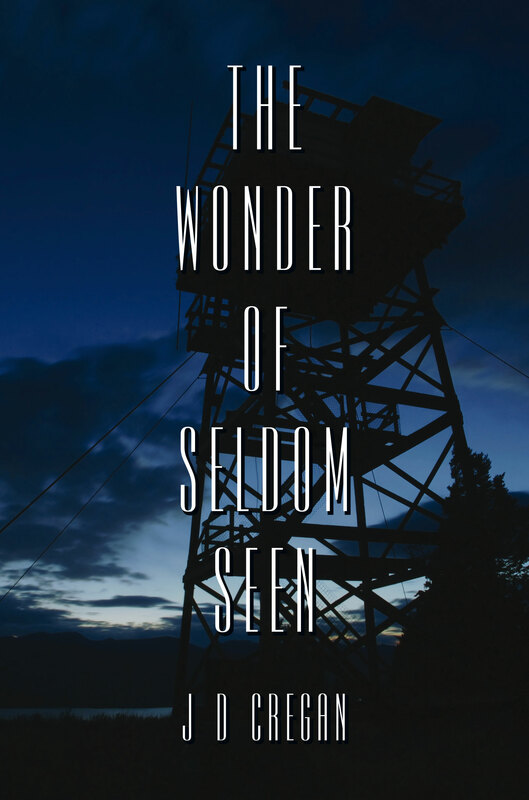 There he enters into an ill-advised affair with the park owner’s wife and when that scenario looks like it could be dangerous for both of them Miles again moves on, this time ending up in the tiny village of Seldom Seen in Victoria’s high country. While Miles starts to settle in his new surroundings he doesn’t know that he has become a suspect in a murder that took place back in Lakes Entrance but his past does end up catching up with him. Review Summary: The book mixes up the sub genres and is not a slave to the conventions of any. It has a very strong sense of place, a collection of local characters believably drawn and I enjoyed the book’s mixture of light hearted whimsy and dramatic moments. The full review is at Fair Dinkum Crime 3/5 stars. Synopsis: The third book to feature fifth generation Chinese-Australian policeman Brad Chen. As the novel opens Chen is due to return to his job with the Australian Federal Police (AFP) after being on extended leave but he is called into service a few days early when a bizarre series of killings occurs across the country. In Perth then Adelaide several people are murdered in a similar fashion and their connection seems to be the fact that they had something to do with a large-scale financial fraud which left many ‘mum and dad’ investors penniless. Review Summary: I now know just enough about Brad Chen to want to go back and learn about his earlier cases. As well as being a wholly believable character he’s also an interesting mix of traits, having played footy at the highest level and now completing his PhD thesis and being one of the most dedicated house cleaners I’ve ever read about. I love the way Robertson depicts Chen dealing with the racism he encounters too. 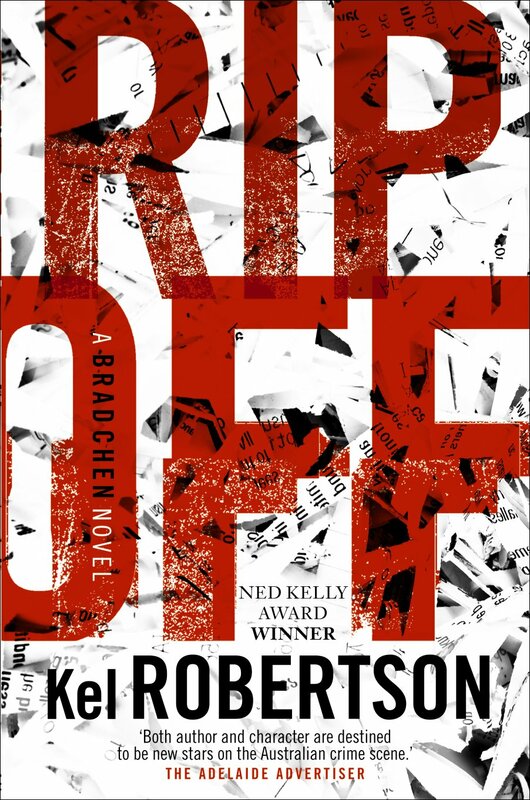 I recommend RIP OFF widely, especially if you’re after a ripper tale, like a laugh or love to revel in the joy of a beautifully constructed sentence. Synopsis: Simon Sawyer is 11 years old when he and his parents travel to Reception, a small town on the east coast of Australia, to visit Simon’s grandmother who the family have been estranged from for some years. On the advice of one of the locals Simon’s parents decide to do some sightseeing before their visit to grandma and Simon stays at their motel by himself. He dozes off when he wakes at 10:00pm that night he realises his parents have not returned and he soon learns that no one has seen them since the afternoon. He is taken in by a widowed B&B owner who has an odd collection of family and guests. Review summary: There’s a real sinister mood to the novel as readers are introduced to a succession of gloomy characters such as the ageing and secretive crab fisherman, the guilt-ridden policewoman, the widowed B&B owner and his peculiar children. Simon is believably drawn, capturing the mixture of burgeoning independence and fear at possibly being all alone in the world quite beautifully. 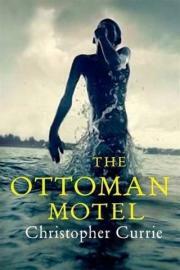 A solid debut novel and will be keen to read more from its young author. Synopsis: The Donor has a simple, though hideous, premise. 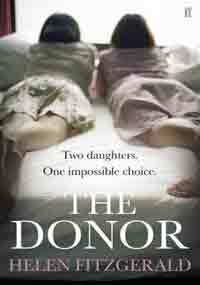 Will Marion’s twin teenage daughters, Georgie and Kay, both develop a rare genetically inherited kidney disease. They will die without each having a transplant and Will is desperate for a solution but what is the right one? Should he find their mother? Try his parents? Donate one of his own kidneys? But to which daughter? How far would a man go to save his children? Review Summary: I read the book in a single afternoon which is due in equal parts to its short (at least these days) length of around 60,000 words and the compelling nature of the story. The very ordinariness of the people and their situation is easy (and therefore terrifying) to identify with and you can’t help but turn one more page to find out what will happen. The presence of a vaguely surreal sense of humour throughout saves the book from being anywhere near the maudlin, ‘misery-lit’ category so popular in some literary circles. This entry was posted in Christopher Currie (Aus), Geoffrey McGeachin (Aus), Helen Fitzgerald (Aus), J D Cregan (Aus), Kel Robertson (Aus), mini review. Bookmark the permalink. Bernadette – Thanks for this summary. 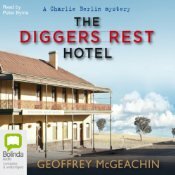 You’ve reminded me that I absolutely must read The Digger’s Rest Motel and Rip Off. Both are novels I’ve been wanting to read very much. About time I got to it! A couple of tempting reviews here. A pity that most of your authors are difficult to come by, but Helen Fitzgerald shouldn´t be too expensive.